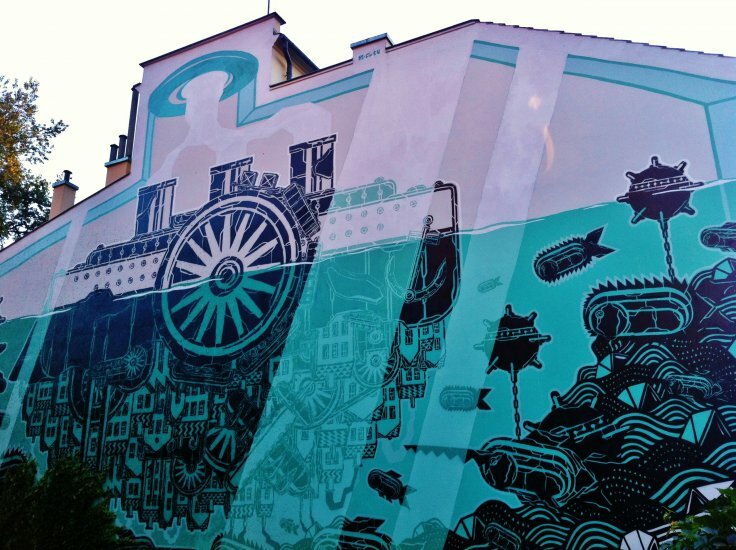 This mural on the side of the Józef Mehoffer House was done as part of the ArtBoom Festival in 2012. 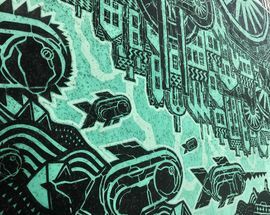 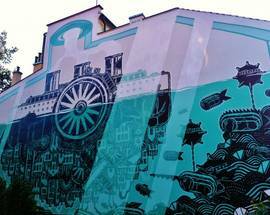 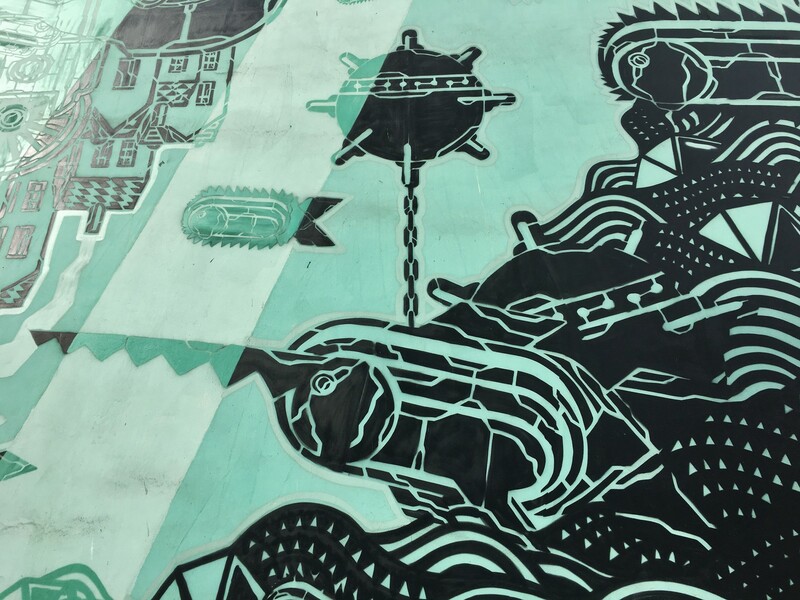 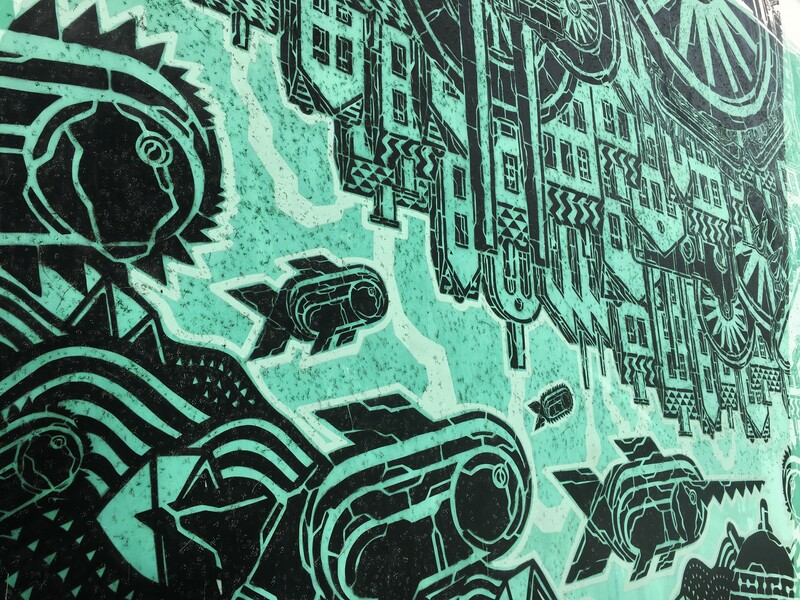 Designed by Gdynia-born M-City - one of Poland's most well-known mural artists - the piece is simply titled 'Mural no. 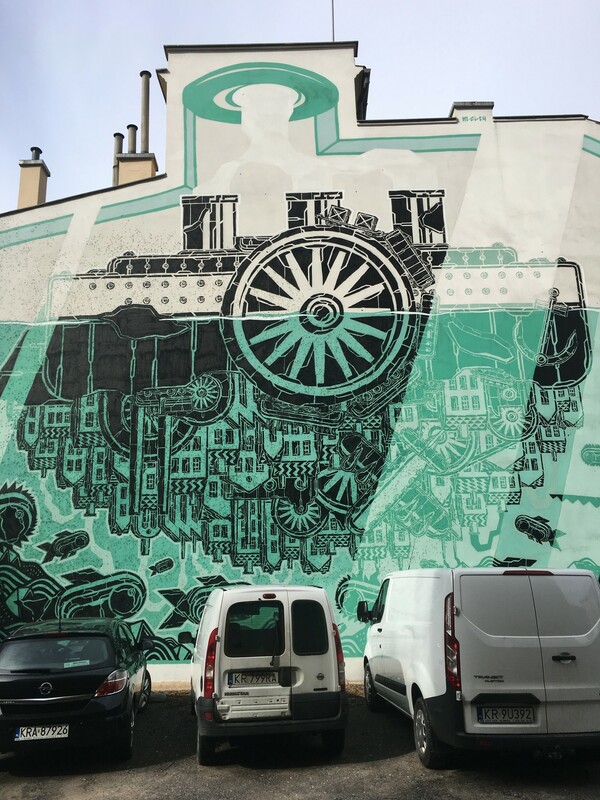 658' - a good indication of how prolific the worldwide artist is. 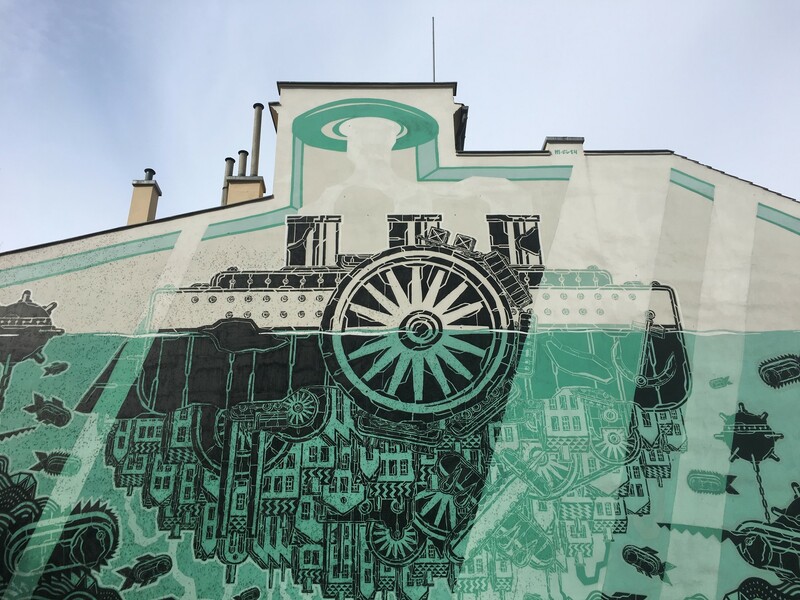 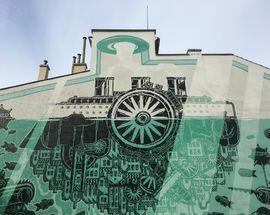 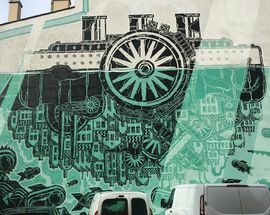 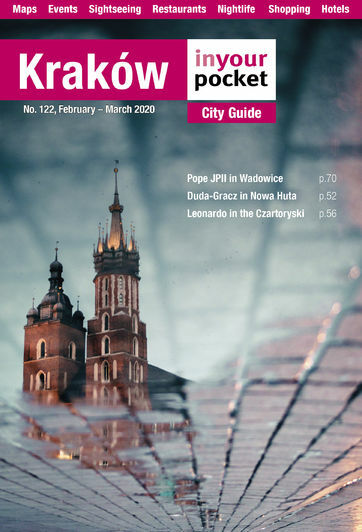 This, currently his only work in Kraków, depicts the city as a dystopian fortress/steam ship, bombarded from all sides by fish resembling ammunition. 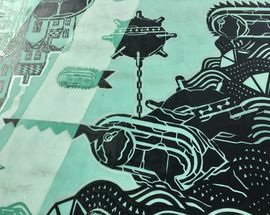 While you're there, sneak into the Meho Cafe garden in the courtyard of the museum - it's lovely, and in perfect contrast to the artist's vision.